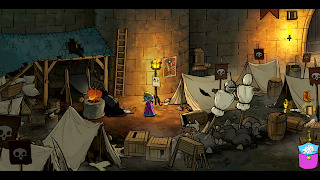 TSIOQUE, a 2D animated adventure game created by OhNoo Studio thanks to a successful kickstarter. Is this simple fairy tale worth the time and asking price? Short answer, yes. Click "read more" for the full review. The basic plot for TSIOQUE begins as simple as a fairy tale. 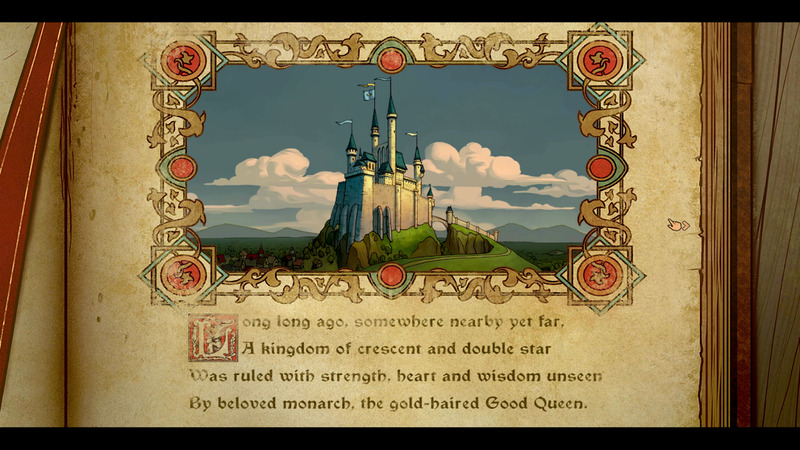 A ruler loved by the people known as the gold-haired Good Queen lives a peaceful life and shares a close bond with her daughter Tsioque (SH-AW-K). Sadly, one day a Phoenix attacks the kingdom forcing the Queen to leave with her army in order to fight the bird. 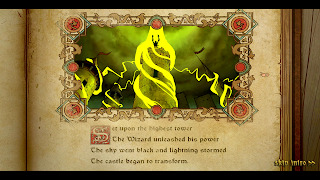 However, while the Queen is away, The Royal Wizard launched an evil plan to control everyone's mind and rule the land. 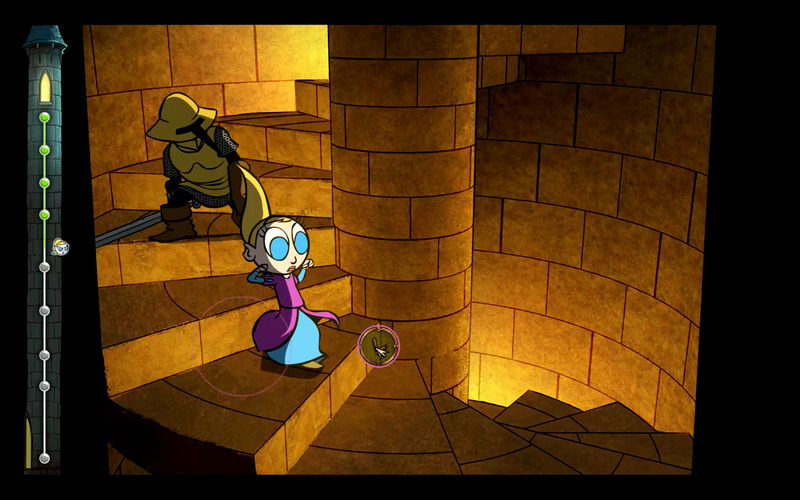 Now, princess Tsioque is captured and is on a quest to escape and contact her mother. Despite the simplistic nature of the story, it is still well done. Without going into spoilers, there are good plot twists and the ending is fascinating. 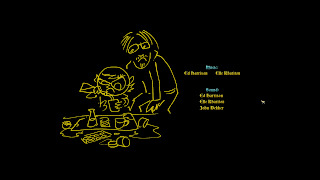 Cut scenes are mostly done in a story book setting. 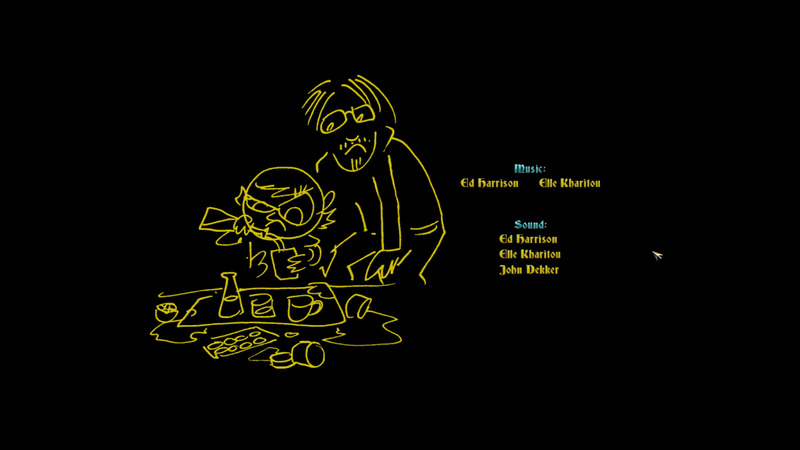 There aren't many cut scenes in the game, but given the games short length it is an appropriate amount. Other than these ocasional scenes there is not much writing in the game. 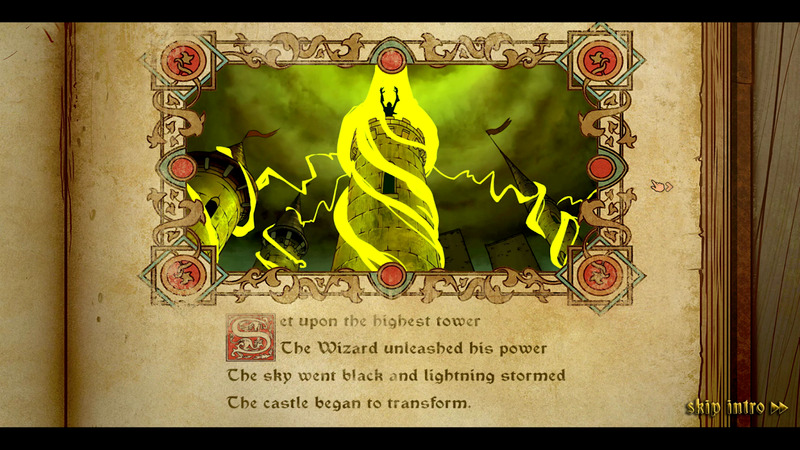 The characters are silent throughout most of the story other than The Royal Wizard who will sometimes teleport in and interrupt your quest. 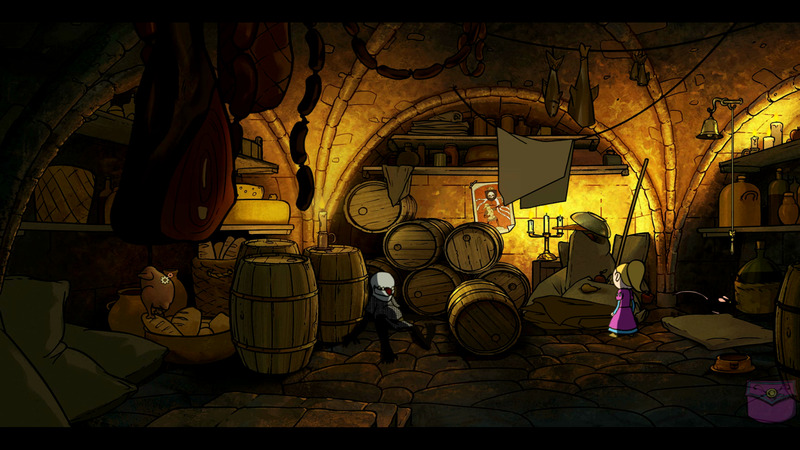 Even without dialogue, Tsioque and other characters you run into all have personality told through expressions, gestures, and grunting noises. This formula for writing works very well. Game play uses the basic point-and-click adventure game formula. The entire game can be played with the mouse. You take control of princess Tsioque as she navigates her way through the castle avoiding The Wizards minions known as Imps. 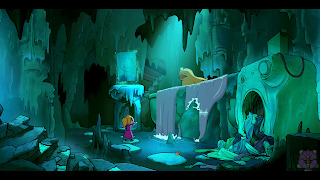 Along the way, you will find and use inventory items to solve puzzles in order to progress. The puzzles are challenging but never unfair It is almost never directly stated what you are supposed to do or where you need to go, however the game does have subtle hints scattered around the map. A good example of this would be when there is an item you need to get but the rats keep you from it. In that room, there is a bell with a cat bowl under it; meaning you need to free a cat somewhere else in order to gain the ability to ring for it to come. In addition to the puzzle solving, there are some quick time events thrown in. Usually, these QTE moments are just a matter of using an item in a specific way within a time limit. However, once in awhile there will be a mini-game. Two good examples of this are the moment when you need to sew up some patches and when running away from an Imp. The mini-games and QTE are never very difficult and do not have any penalty for failing them. Regardless, they are a nice way to break up the action. There is one gripe I have with the game play which is not being able to cancel an action or skip animation. Several times I would accidentally click on something I know was wrong and have to wait for Tsioque to walk over to it, shake her head no, then walk back before being able to continue. Other than that, the game play is as simple and solid as it needs to be. 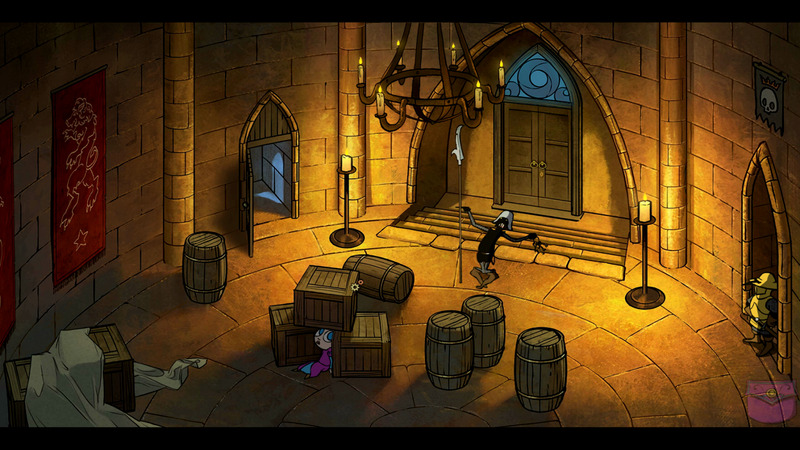 Great for fans of adventure games. 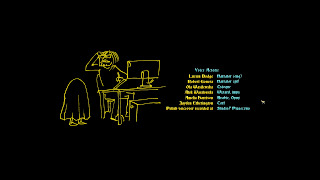 The cast of voice acting is pretty small but fills all the needed roles. 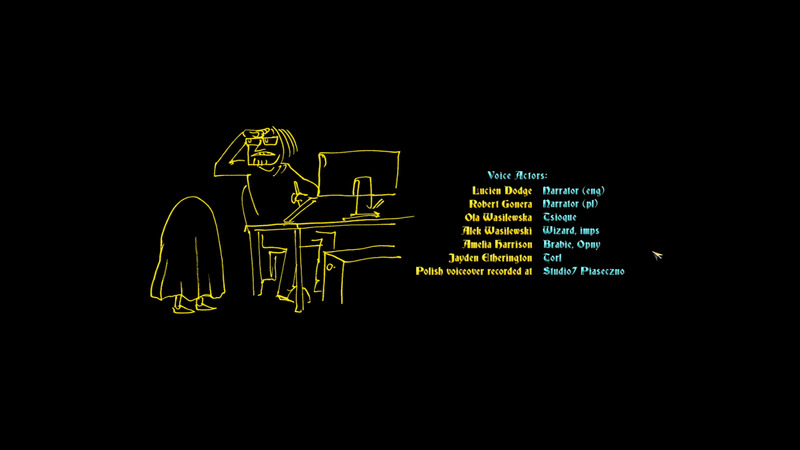 The narrator is enjoyable to listen too and everyone else fits their role very well. Even the grunt noises has good emotion behind them. Music can sound a little stock at times but it always fits the environment. It is slow and mysterious sounding during most of the game but picks up whenever there is action. All the sound effects when using inventory items are also funny and fit well. To describe the soundtrack in one word would be pleasant. Nothing groundbreaking but nothing wrong either, soundtrack just works. 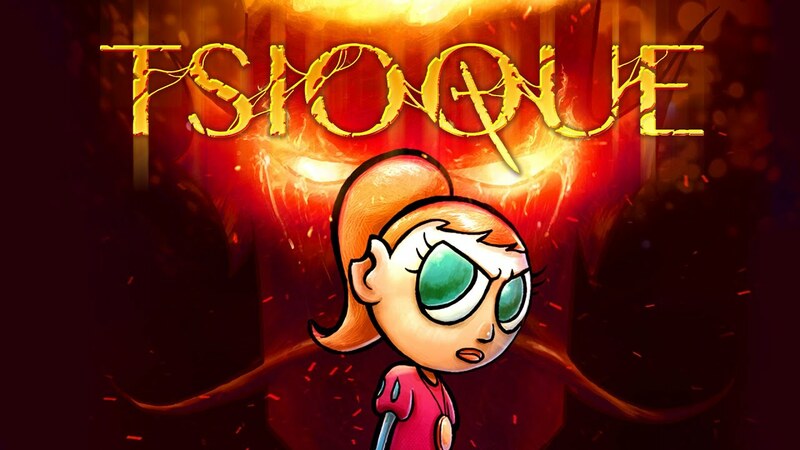 TSIOQUE is a linear game (as standard with adventure games) and takes around 4 hours to complete give or take how long the player can work out the puzzles. Not a very long game, but given the low asking price it is an acceptable length. It is long enough for the story to be told in full which is what matters the most. 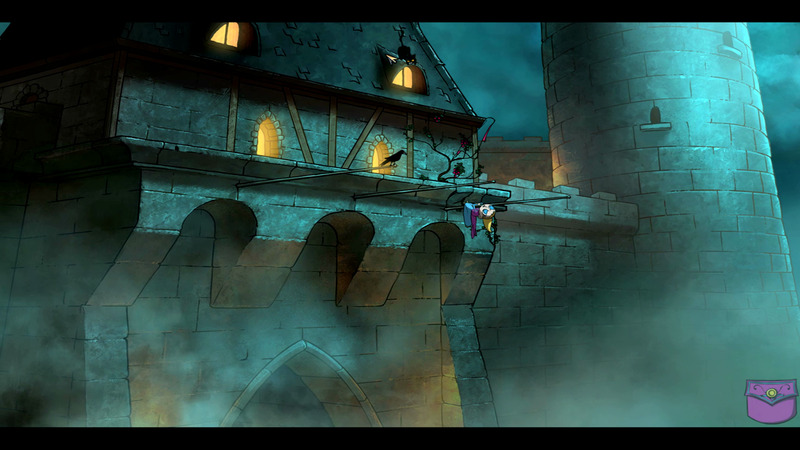 Visually, the game is 2D and looks like a very well drawn and animated cartoon. There is a lot of details, lighting, movements, and the expressions on characters give them a lot of personality. Granted, the characters designs are very simple but there is nothing wrong with that if it works. Really I cannot see anything wrong with the games presentation. Everything is exactly as advertised and nothing is in the game that does not need to be there. TSIOQUE is a great and charming adventure games. Fans of the genre will really enjoy it and even casual players should not have any difficulties with it. This is a case where a kickstarter/passion project goes right. 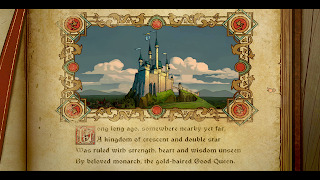 I highly recommend it for pc gamers, fans of adventure games, or anyone just looking for a new fairy tale.